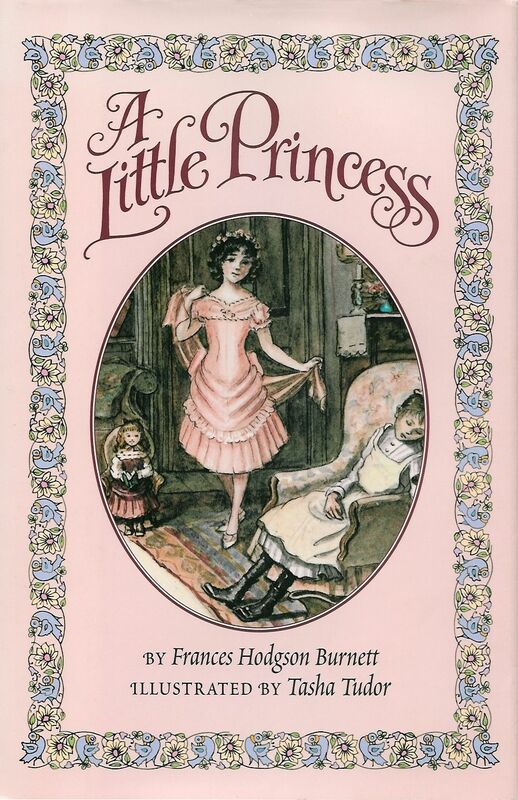 We finally finished our latest chapter book read-aloud, A Little Princess by Frances Hodgson Burnett. 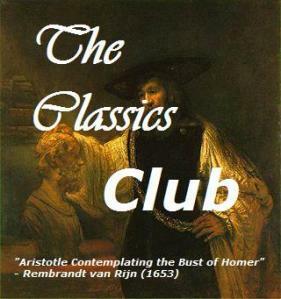 This is a book I put on my Classics Club list because I had never read it myself, and honestly, for some reason it just never appealed to me. I read The Secret Garden aloud to my girls almost three years ago now (and funnily enough, while we were waiting on DLM #1 to arrive! ), and since I had also seen The Secret Garden movie many times as a child myself, I guess I thought I had had my fill of Frances Hodgson Burnett. Anyway, I decided to rectify the situation since A Little Princess is a childhood classic, and I’m glad I did! For those unfamiliar with A Little Princess, it is the story of Sara Crewe, a British child raised in India until her widowed father sends her back to London to be educated at Miss Minchin’s seminary for girls. Sara is a special and favored student at the seminary, thanks mostly to her father’s wealth. However, Sara is also different–she is conscious of the fact that she is of a different social class and intelligence level than others, but she takes the less popular and intelligent girls, even the servants, under her wing. She isn’t cowed by Miss Minchin’s mean-spirited control. In short, Sara shows amazing maturity for a girl of her age. She’s almost perfect. I think that’s one reason I really didn’t want to read this book. I really didn’t know too much about it, but somehow through the title I picked up on Sara’s perfection. What I didn’t realize, though, is what happens to Sara halfway through the story (stop reading here if you don’t want to know!). Through an unfortunate turn of events (most of which end up not being true after all), Sara’s father loses first his fortune and then his life. This, of course, means that Sara’s star sets rather quickly at Miss Minchin’s school, and she is relegated to the role of school “drudge” and banished to the dreary and cold attic to live. However, it is through Sara’s misfortune that her whole idea of behaving like a princess (which had already been established when she actually lived like one) is tried and tested. She is truly cold; she is truly hungry; she is truly mistreated. How will Sara react? Well, she doesn’t do it perfectly, but she does manage to keep up her imaginings of how her life is still good. And things work out for her, of course. Of course! Although the resolution is quite unlikely and we saw it coming five miles away, my girls still had happy and satisfied smiles on their faces at the end of the story. Like The Secret Garden, this story depends a lot on Magic. This Magic is similar to the Magic alluded to in Burnett’s other book, and I still don’t like it. It’s more like a belief (and in fact, more than belief–the reality) that things will work out according to some Plan. It seems to me to be a stand-in for some sort of religious belief, and I’m not comfortable with that. There’s also the whole issue of the stereotyping of Indian servants and the whole idea that Sara’s father makes his money in diamond mining. Both of these things are controversial, so if that sort of thing is important to you in a read-aloud, you might want to avoid this one or at least be aware of the fact that they’re present. I’m not too much bothered by the winds of political-correctness, so I tend to read on through (especially when the book was written when such things weren’t looked at strangely) and discuss it when it comes up. All things considered, I think I enjoyed A Little Princess more than I enjoyed The Secret Garden. It certainly exceeded my expectations. My only complaint about our experience is that I read the story from Lulu’s Nook, and while I’ve slowly come to enjoy using e-reader technology, I much prefer my old-fashioned Kindle over her touch-screen Nook. I couldn’t be bothered to figure out how to underline passages (mostly because I don’t enjoy fiddling with technology and I’m usually also wrangling the DLM while I read aloud), so as much as I’d like to share a few quotes from this story, I have none to share. Still, I give this one a Highly Recommended. What have you been reading aloud lately? Sounds like you had FUN with it! All right, now I’m going to have to re-read these! I never really got the same feeling from the Magic that you point out. I guess to me it was obvious that is was someone else doing it or them causing it. I do think though that the author’s worldview definitely shows the time she lived in. I personally loved The Secret Garden, but my daughter prefers A Little Princess. Either way they are both great reads! I love The Little Princess! Finally able to link up after months of not being able to blog. A Little Princess is a favorite that we read again and again. We discuss the “magic” aspect of it; it makes for great conversation and learning. I think in our home the Little Princess takes the lead over The Secret Garden. My oldest read this one, but I never have. She liked it, though! Like you, I dislike the magical elements in Secret Garden. We’ve been reading Lloyd Alexander this week — The Black Cauldron, close on the heels of The Book of Three. Maybe I’ll post on it when we’re done. I definitely had problems with the Magic in The Secret Garden, but I didn’t notice it as much in The Little Princess. I definitely prefer The Little Princess to Secret Garden…and I even saw a little of Job in Sara Crewe. I think I still prefer Heidi overall though. I haven’t read this before (although I think we have watched the movie with the girls a couple years ago). We tried reading The Secret Garden 2-3 years ago and they weren’t able to sit through it so we bailed on that one and need to try it again as well! Adding this to our list – maybe for this summer? ; ) Thanks for reminding me of this one!